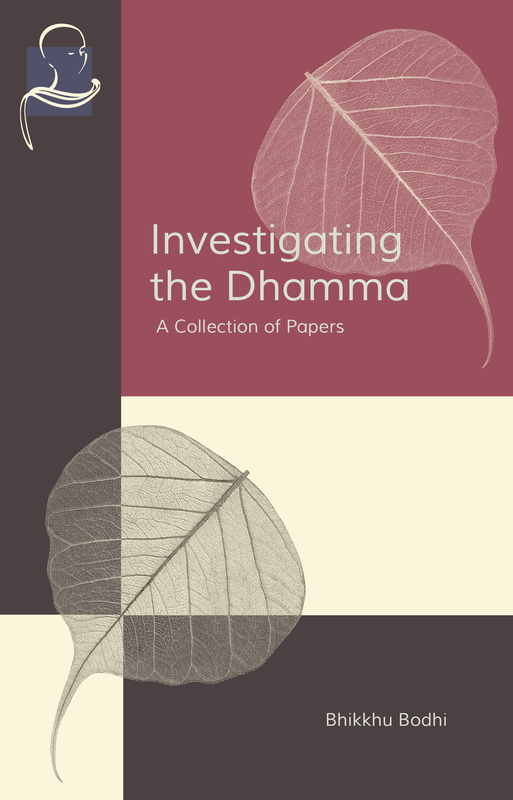 Investigating the Dhamma is a collection of eight essays by renowned scholar-translator Bhikku Bodhi, published in 2017. Four of these essays are critiques of the views of others, viz., Joanna Macy, Thanissaro Bhikku, Nanavira Thera, and Stephen Batchelor (see below). Bodhi’s decision to publish a collection of critiques of interpretations which, in his own view, deviate from Theravadin orthodoxy, is somewhat ironic, given that Bodhi himself controversially recognizes the non-Theravadin doctrines of the bardo and the bodhisattva (the latter is non-Theravadin in the sense that it is not accepted as a goal for most people; some modernists like Bhikku Sujato et al. reject the concept altogether), advocates female ordination (illegal in Thailand), and lives in a Chinese Mahayana monastery in New Jersey. Bodhi has even been seen attending an audience with the Dalai Lama. Bodhi himself does, however, see himself as a Theravadin and therefore looks at dharma from a sectarian perspective. Bodhi still sees the dharma through the lens of Theravada, and he clearly believes that all Buddhists should also see the dharma (t)his way. Unfortunately, the book is marred somewhat by numerous editorial mistakes, especially the appearance of hyphens in places where they don’t belong. Bodhi takes issue with Macy’s contention that the Buddha did not teach that nirvana is unconditioned, that the wheel of causation (paticcasamuppada) spans three lives, and the theory of momentariness. He also takes issue with Thanissaro’s non-ontological view of anatta. He reserves his most extensive criticism (41 pages), however, for Nanavira’s rejection of the three-lives interpretation of paticcasamuppada. Nanavira Thera was an English Theravada Buddhist monk who wrote an influential work entitled Notes on Dhamma that has acquired something of a cult following (see Clearing the Path, published by Path Press). Finally, he criticizes Batchelor’s radical agnosticism, which bears some similarity to Aleister Crowley’s philosophy of “Pyrrho-Zoroastrianism” (see J.F.C. Fuller, The Star in the West (1907), cap. vii). The essays consist of rather technical dissertations on some of the finer points of Buddhist abhidhamma: the five aggregates, selflessness (anatta), the chain of cause and effect (paticcasamuppada), the notion of Buddhist agnosticism, the jhanas, the meaning of mindfulness (sati), and sankhara – interesting topics all. Bodhi takes the Pali Canon, especially the nikayas, as an absolute frame of reference, even the minutiae of parsing Pali syntax and semantics, although the Pali Canon was compiled nearly four hundred years after the death of the Buddha. This is typical of Theravadin exegetics. This is like mistaking the writings of Reticius, however praiseworthy they may be, for the original words of Christ, despite the warning of the Buddha not to rely on texts, teachers, or traditions, but on the independent exercise of rational judgment based on the truth of each one’s experience. Bodhi also invokes the Theravadin refrain that a text that is later is inferior to an earlier text, despite the obvious facts (discussed in “Hermeneutics and the Problem of Tradition” in my Dharma Talks) that a later tradition may incorporate earlier knowledge, be based on legitimate inferences, or even express authentic spiritual realizations and insights consistent with the original teachings and methods of the Buddha, whereas the evidence of the earliest Buddhist texts in the Suttanipata, for example, is that there is no discernible primary stratum that is coterminous with the Buddha himself that can be derived from the existing texts directly or indirectly by some sort of rational or linguistic analysis. The notion that one can extract the gold of the dharma by purifying the aggregated ore of the Pali Canon by any process, algorithm, or heuristic is fallacious. The Buddha also derides dogmatism, sectarianism, and philosophical nitpicking. Buddhology itself is mistaken in making the Buddha its idol; “the Buddha himself” referred the sangha to the authority of the dharma after his death, and declined to recommend anyone else to lead the sangha thereafter, thereby dismissing the very idea of a single centralized Buddhist authority or, by implication, interpretation. As the Buddha says in the Mahanibbana Sutta, interpretation is “each for himself.” The doctrine of the 84,000 teachings suggests the same. “Orthodoxy” should be the result of a vigorous and rigorous process of discussion, and is always a moving target. The practical hermeneutic that derives from the foregoing considerations is the method of syncretism, which accords with the Buddha’s overriding emphasis on consensus and opposition to schisms (such as that which the Sthaviras fomented during the Second Buddhist Council). Nevertheless, the depth and range of Bodhi’s insight into the essential underlying conceptual architecture of the Pali Canon is sufficiently awesome (see Appendix) that we can forgive him for such gafs as the statement that the Buddha was a monk, Bodhi’s persistent defence of dualism, the notion that the gradual path “leads” to enlightenment, or the attribution of “authorial intent” to anything identifiable, including the Pali Canon (“the Buddha himself,” etc.). Ashoka himself refers to multiple Buddhist books that are not readily identifiable in the Pali Canon, which may or may not survive in some other form, with one or two very doubtful exceptions. There is no reason at all to suppose that the Pali Canon is original, complete, or unedited. One could and should make a book out of these underlying universals, which constitute the authentic conceptual infrastructure of the Buddhist project, not yet finished. An interesting omission in Bodhi’s book is any discussion of the bodhisattva doctrine, which Bodhi ignores completely, despite defending the doctrine elsewhere. Despite Bodhi’s rather captious style, there is much that the earnest student can discover in this short work, especially if they focus on the similarities instead of the differences. Already the Buddha is idealized as an omniscient, immortal, and telepathic “kinsman of the sun,” a god-like being who descended from the Tusita (“joyful”) heaven, where bodhisattvas were said to reside before their final rebirth. He may be recognized by the 32 marks of a “superman,” many of which are physiologically absurd and impossible. Although the Suttanipata as a whole is later than the nikayas, B.C. Law, T.W. Rhys Davids, and H. Saddhatissa all regard the Rhinoceros Sutta (Khaggavisana Sutta), the Chapter of the Eights (Octades), and the Way to the Beyond (Parayana) as earlier than the earliest nikaya and earlier than the rest of the Suttanipata, which Law dates to the second century BCE. The earliest nikayas may be dated to the third century BCE, i.e., the time of Ashoka (circa 250 BCE), so the works cited cannot be dated at later than 145 BE, approximately, and may be significantly older, although as written they could not have been written by people who actually knew the Buddha. However, the most historical work in the earliest nikaya, i.e., the Mahaparinibbana Sutta of the Digha Nikaya, has been dated by Indologist and Pali expert Oskar von Hinüber to 350-320 BCE, about 85 years earlier than Law. If we accept this date and Law’s conclusion that the three works cited are earlier than the earliest nikayas, then this would put the date of these works no later than 75 BE, and possibly as early as 45 BE, based on a consensus date of the Parinirvana of 395 BCE. The latter seems too early, however, as there would probably have been people still alive then who actually knew the historical Buddha.